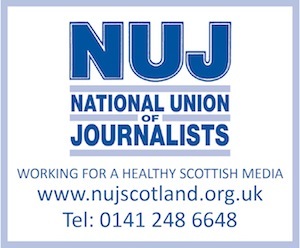 THIS exciting new role has been created within the Special Publications Unit of DC Thomson’s Publishing division which develops and produces a portfolio of regional magazines. The YOUR magazines writer will be required to generate both editorial and commercial copy for our roster of magazines. The successful candidate will work with the creative copywriter day-to-day and will report to the business development manager (publishing). The position can be based at any of the following DC Thomson’s Scottish offices; Aberdeen, Dundee or Glasgow. This is a full-time position, 35 hours per week, Monday to Friday, 9.00am – 5.00pm, with an hour for lunch. * Update the YOUR websites when new editions of the magazines become available. The successful candidate will have a demonstrable interest in small communities, popular culture, and commercial trends. The successful candidate will also be highly creative and imaginative, with excellent written skills. They will work well in a team and independently and their communication skills will be a key attribute. They will have an eye for detail, be able to work under pressure, and ideally have experience working as writer within a marketing, publicity, advertising or editorial environment. Benefits include a competitive salary based on experience, a contributory pension scheme, six weeks holiday per year (34 days including no-publishing days), health cash-back plan, as well as the training and career opportunities you’d expect from one of the UK’s largest independent publishers.